Many people think that God never talks to them. While God is always speaking, are we listening with spiritual or natural ears? When we hear from the Lord, he usually speaks supernaturally. People are often waiting on a “burning bush” experience like Moses had to hear Him speak. Since our experience will likely differ, what should we do in the meantime? Just wait for the bush to speak? Absolutely not! In order to be prophetic, you must know the sound of God’s voice. How would you like to be more attuned to God’s voice? Do you have a desire to hear Him supernaturally? If so, you need this book! 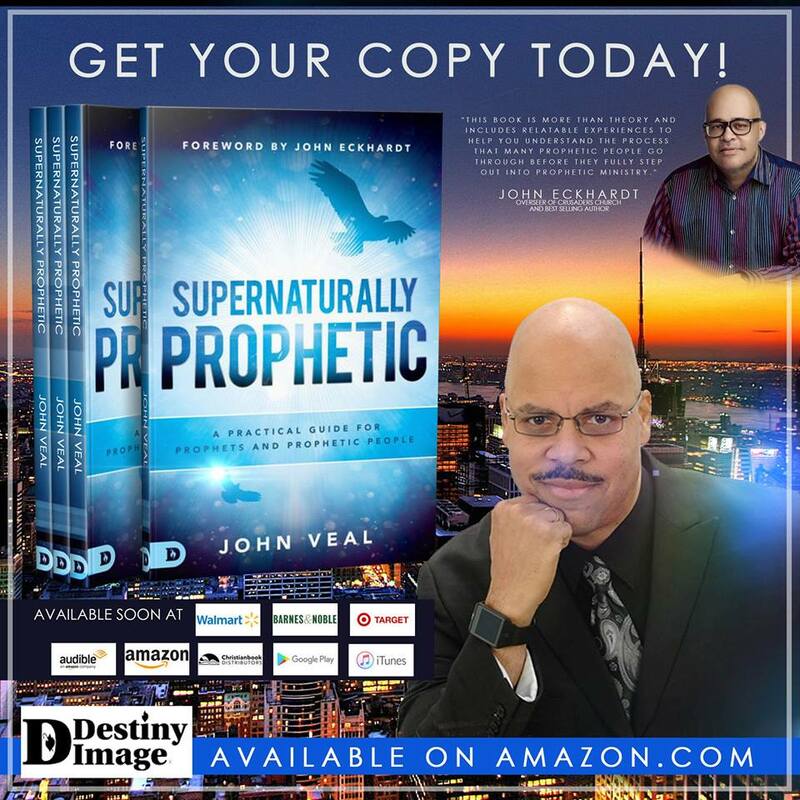 Journey with John Veal through his own supernatural trek toward his prophetic destiny. The teachings within will assist you in navigating the realm of the spirit with supernatural precision. This book was written for people with a strong desire to grow and to know prophecy at a deeper level. Is that you? If so, this manuscript will be an invaluable tool to help you in your journey. Dr. John S. Veal is the senior pastor/prophet of Enduring Faith Christian Center and the CEO of John Veal Ministries. He is passionate about pursuing God’s mandate to preach, teach, impart, and activate the prophetic and the things of God with power, love, and understanding to God’s people. Dr. Veal is a highly sought-after conference speaker due to his uncanny prophetic accuracy, humor, candor, and unconventional preaching style. He has traveled the nations, presenting a myriad of prophetic trainings and ministry. He currently resides in Chicago, Illinois, with his wife, Elisa, and their three children.